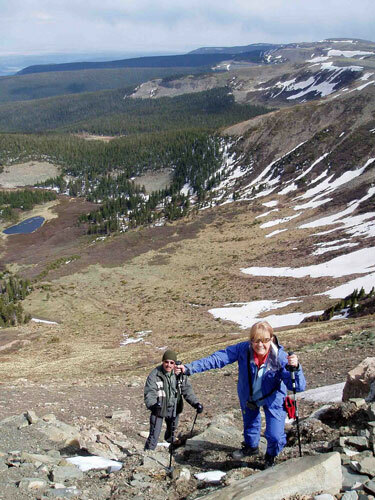 Melanee has been active with the Los Alamos Mountaineers Board in various capacities since 2005. She is a native New Mexican who grew up in Albuquerque, then moved to Los Alamos in 1984. Melanee has been active in a variety of outdoor activities since her youth. She was camping with her family as a child, learning outdoor basics in Girl Scouts, riding her bike for transportation as a pre-teen, running, swimming, riding horses on a regular basis with her friends in the North Valley, and alpine skiing since her teens. 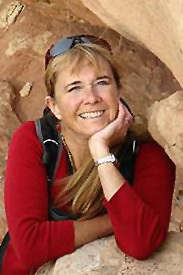 She moved to the Jemez Mountains for 10 years while working in Los Alamos, where she used the practical aspects of cross country skiing, hiking, and snow travel. Along the way, she continues to formalize her experiences with additional training on wilderness leadership, rescue and safety basics, and avalanche training. 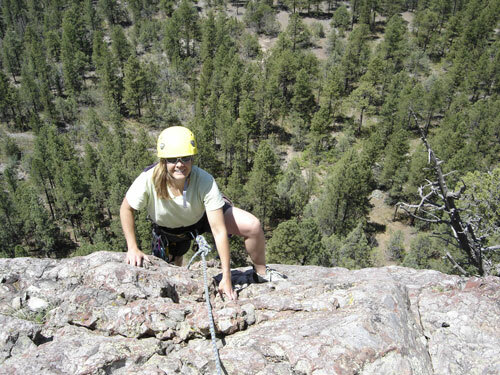 Melanee took the Technical Climbing School in 2005 and performed a make-up session to complete an ad-hoc graduation with recognized climbers and instructors in the Club. 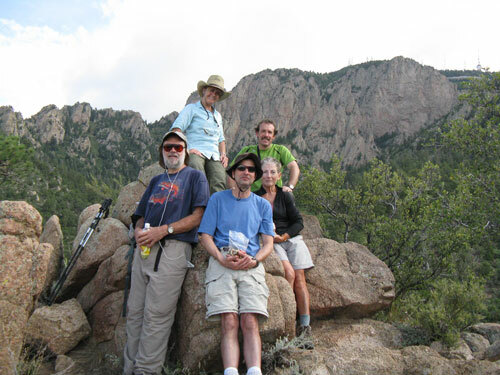 Since that time, Melanee became more involved with Los Alamos Mountaineer club members, participating on advertised trips from the club, and private organized trips for ice climbing, skiing, backpacking, and bike trekking. In her professional life, Melanee has been a licensed Landscape Architect in the state of New Mexico for 23 years. She performed design, and land and facility planning as a subcontractor to the Los Alamos National Laboratory and now works for Environmental Programs at Los Alamos National Laboratory supporting the Clean Water Act.